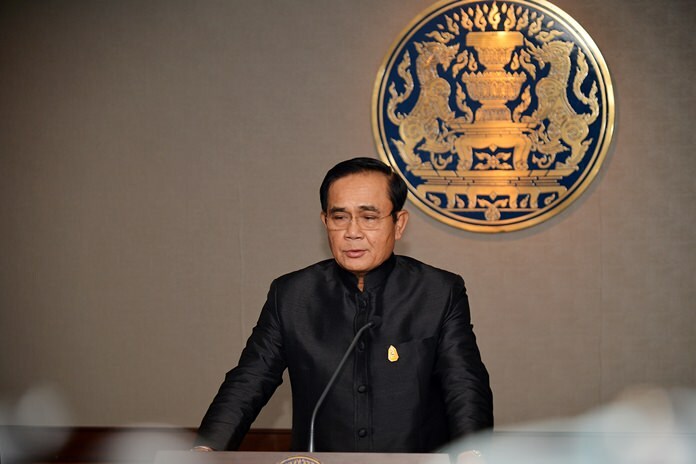 BANGKOK, 23 May 2017 – Prime Minister Prayut Chan-o-cha has ordered for a feasibility study on a plan to raise the pension for elderly persons. He said the Ministry of Finance’s proposal to increase the pension for the elderly from 1,000 baht to 1,500 baht per month needs to be considered given the fact that the number of senior citizens will increase significantly over the next several years. He said the government needs to consider the ratio of people in the workforce and create more working people to fill new vacancies and address the decreasing birth rate in Thailand, all of which need to be taken into account. He called on the authorities to check the number of elderly persons who have registered for the pension to see whether they have done so as low-income earners in order to provide appropriate assistance and benefits according to their needs. He said the previous form of pension will not be altered, but the related agencies are to consider the Ministry of Finance’s plan to allow some elderly persons with stable financial status to withdraw themselves from the government’s pension scheme in order to reallocate the money to help senior low-income earners.